Y’all know how much I adore my home state . . . because, as you may know, Texas IS the greatest state in the union! 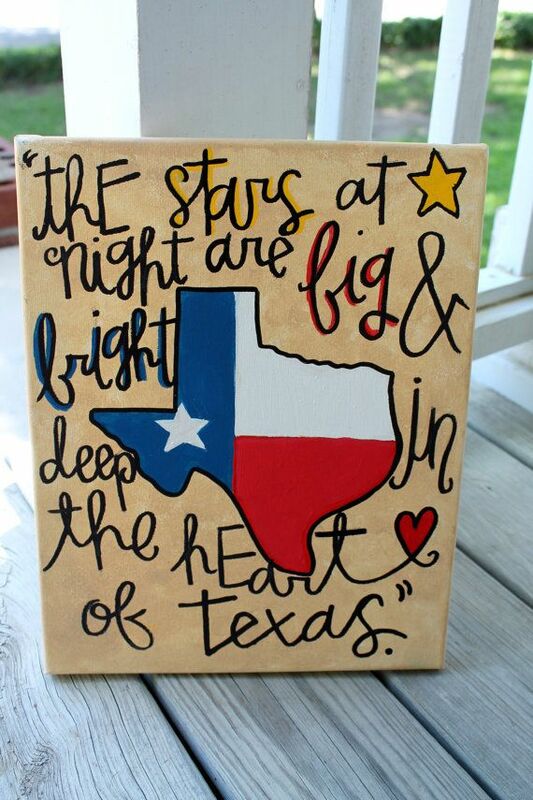 😉 In honor of that, I thought I’d share some fun Texas crafts I’ve found recently! 1) Deep in the Heart of Texas Canvas! If your calligraphy is awesome, you may want to try this project. For those of us with not fantastic calligraphy skills . . . buy it from Colors on Canvas on Etsy! I think this is adorable! 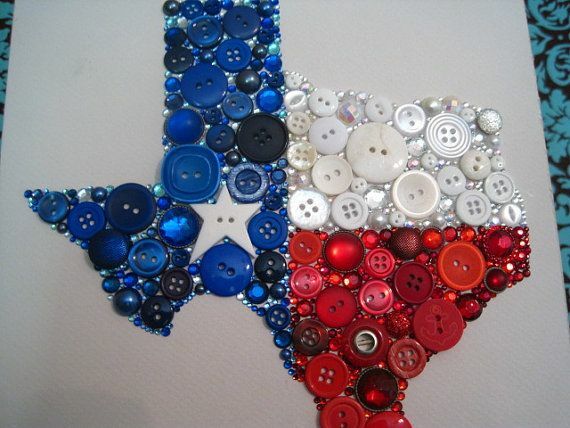 Just sketch an out line of Texas on your canvas, and attach gems and buttons in the appropriate areas! 🙂 Idea from Stage Right Creations on Etsy! 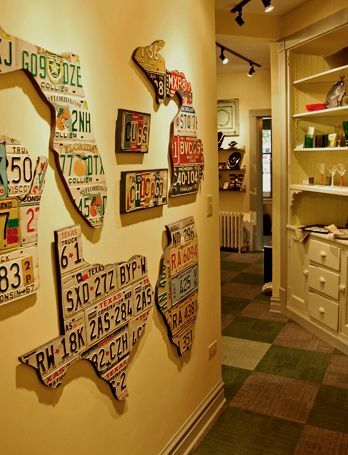 For that pile of Texas license plates you have multiplying in the corner. Lol. 😉 Idea from GreenSky Decorative Arts! Tutorial at Semi-DIY! Go check it out! An awesome way to repurpose an old drawer! And who doesn’t love map art? 🙂 Tutorial at Craft Dictator! Hope y’all have a Terrific Tuesday!